Richard Johnson, Dafydd Lambeth, Haydn Hartnell, Kelly Waite, Julie Lewis and Jacqui Lambeth. 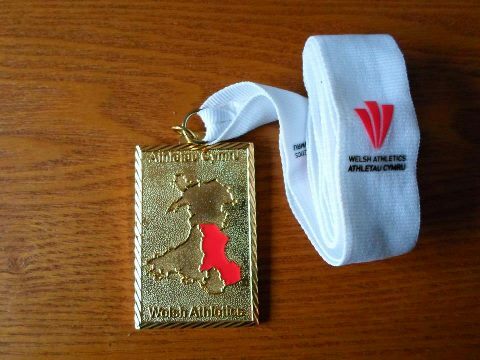 Results are on the Welsh Athletics website (somewhere). 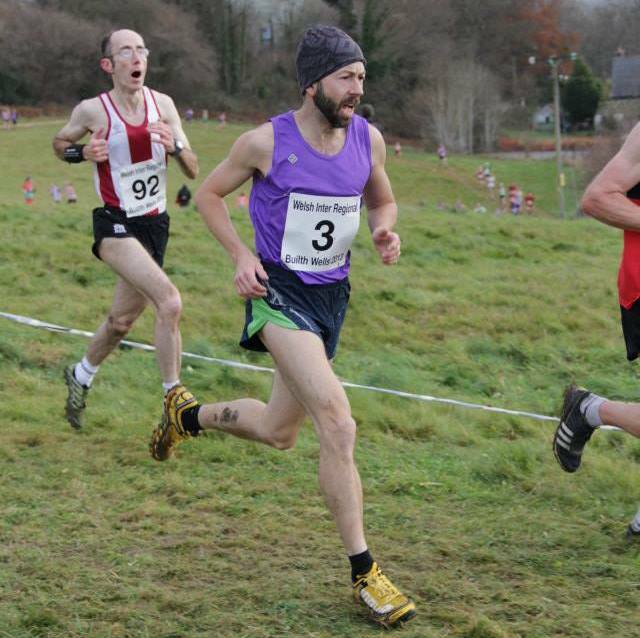 Well done to our Haydn H who was 3rd MV50 overall in this year's Run Wales Series. He was rewarded with a night out in the Hilton Hotel in Cardiff and some free running goodies. Full standings here. Took place on Tuesday December 3rd @ the Islwyn Bowls Club, Gelligroes, Pontllanfraith. The meeting was very well attended. Chairman Glyn and Captain Jon stood down and a new Chair and a new men's captain were duly elected. Step forward Martin Jones and Chris Lloyd. Congratulations to both, I'm sure everyone will support them in their new roles. If anyone is unsure as to who the club's officers are please take a look here. The minutes of the AGM will be posted in the member's area of the Blog. Islwyn men's team 1st (yes, 1st!) after all 10 events. Think all of the above deserve a big pat on the back! It's that time of year when the days are shortening and the weather's worsening and peoples' thoughts turn to... No! Not battening down the hatches and curling up on the settee until Christmas, but instead to scraping off those mud encrusted x/c shoes and getting out into the freezing rain! Yep, it's the start of the X/C season with the club again entering the Gwent League and participating in the GLCL series, so a possible ten races in all in which to take part. If you've never done one, do one, you'll enjoy it (after it's over!). The season kicks off on Saturday 19th October with the Golden Jubilee Gwent League fixture in Pontypool Park. Full details on the Gwent League fixtures can be found here. Full details on the GLCL series can be found here. Hwyl fawr! Our chairman Glyn is never shy when it comes to making his feelings known. 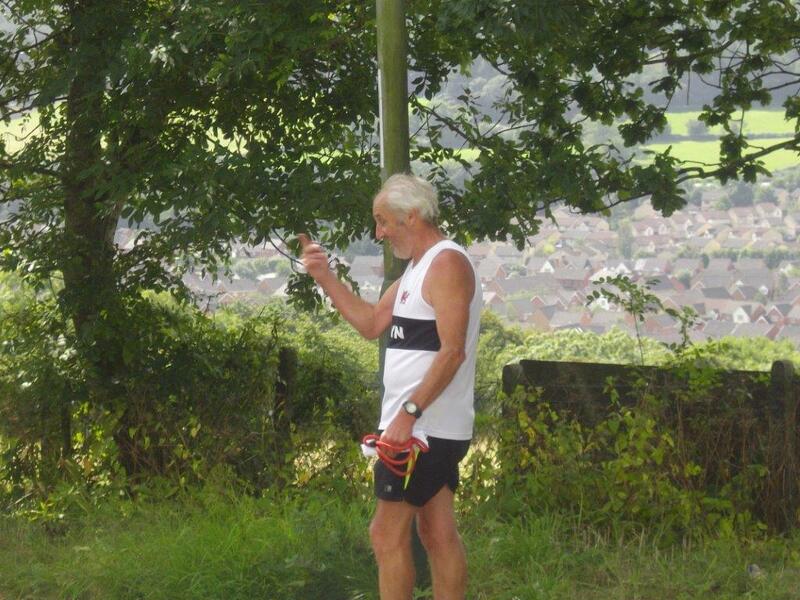 Here he proves the point at the start of his leg of the club's round the (former) borough of Islwyn relay, which was the inaugural event organised to celebrate our club's 30th anniversary. 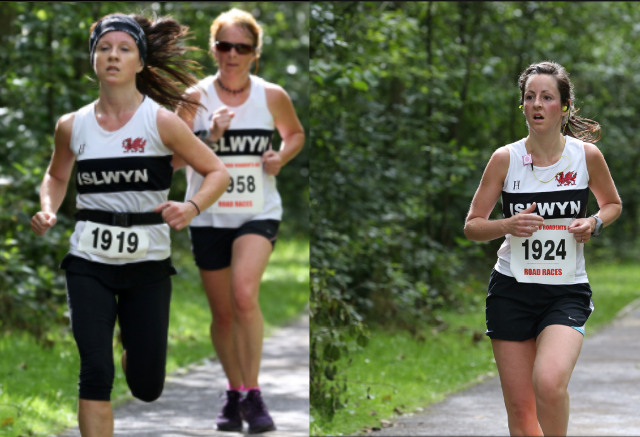 Runners from Islwyn and Pont-y-pwl took part in what was deemed to be an enjoyable event, so much so that it is likely to become an annual event. 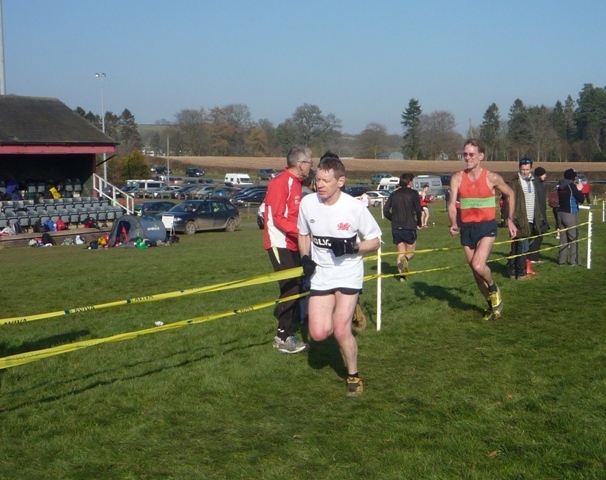 More photos here and unofficial results here with more events hopefully to follow. Reverse 10 Winning Ladies Team! Congratulations ladies! 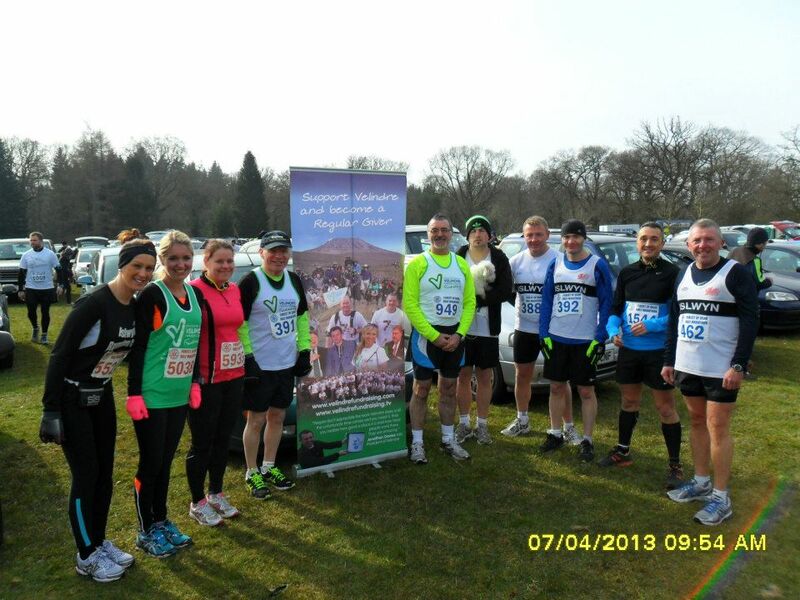 Well done to Claire Williams, Ruth Treharne and Kelly Waite, winning team at the Reverse 10 2013. For more information see the race page here. Many months after the appointment of Jonathan Davies as IRC's Men's captain, IRC are pleased to announce the appointment of Mel Senior as Ladies' captain. Welcome & well done Mel! No doubt this appointment will strengthen and contribute to the ongoing success of our club. 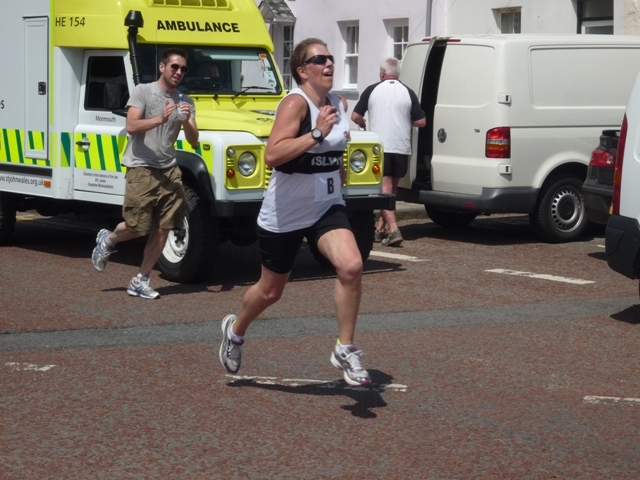 Elaine Hicks (2nd 55-59 female). The men were also joint first with Lliswerry in the team award. The final fixture in this series took place in Penlan, Brecon on 2nd March. Once again all participants thoroughly enjoyed themselves and the lucky weather (lucky it wasn't raining). The men's team finished second in Division 4 which means promotion to Division 3 for next season. The women's team finished a creditable 3rd in Division 3, giving themselves a target to aim for next season. Well done all! One Man & His Dog - again! 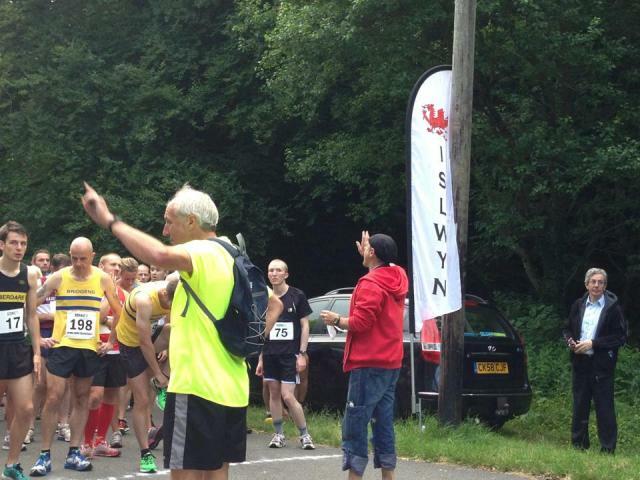 Glyn being led around the Pontypool 10K. 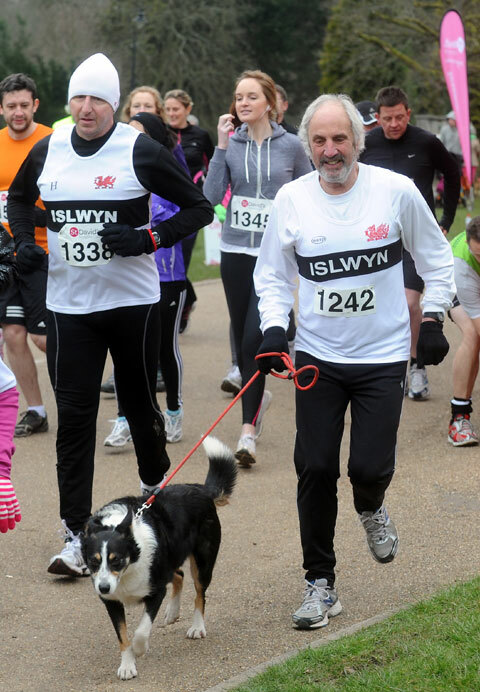 Congratulations to our very own Mike Dury who recently reached the notable milestone of 100 park runs. I think Mike is the first person in the club to have achieved this. Mike took his bow and collected his "100" t-shirt at the Newport Parkrun on 16th Feb. - well done Mike! 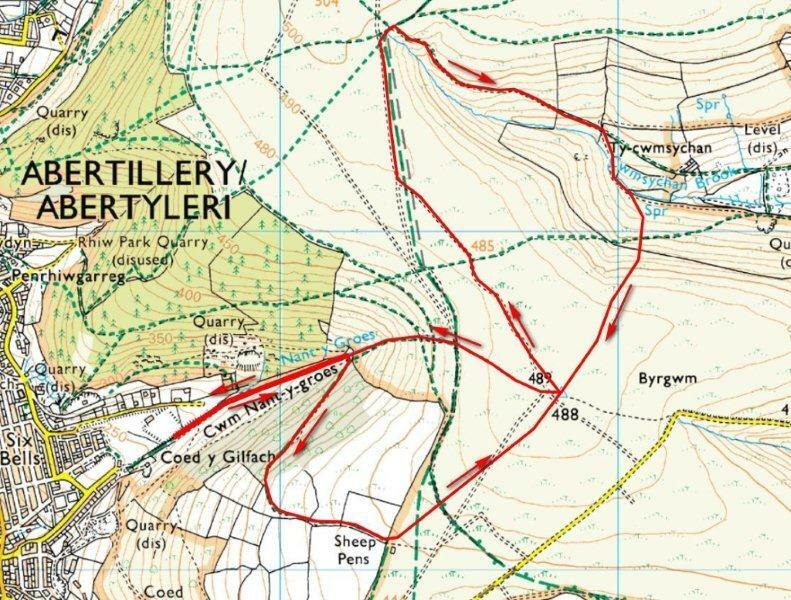 Well done also to Mike Dury (again), Rob Davies jr., Paul Harvey, Wendy Davies (and any other Islwyn runners I've missed) who've notched PB's down at Newport within the last few weeks on the fast new course. For those who have yet to participate in one of these well organised events take a look here to see what you're missing out on. 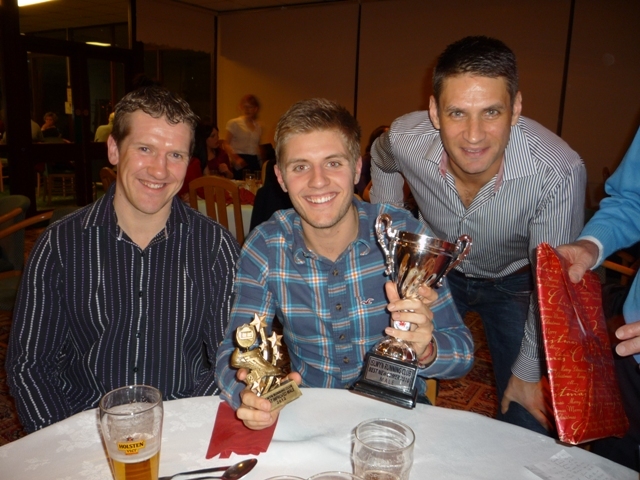 The club's presentation evening for 2012 took place on the evening of Friday 25th January at the Islwyn Indoor Bowls Club. It was a great evening and all who attended really enjoyed themselves. As more than one person commented, we should have more club nights out! Men's club champ. for 2012 was our esteemed chairman, Glyn Hicks. Women's club champ. for 2012 was Ruth Treharne. Most improved male was Adam Fletcher. Most improved female was Lowri Williams. Outstanding achievement went to Coleen Birch. 10 year awards went to Ade White and Rhydwyn Harries. 20 year award went to Roger Fawke. Run under WFRA rules, full kit will be required in bad weather. See WFRA web site here for kit requirements. Race updates will be posted on San Domenico's forum and results will be posted on this website as soon as they are available. Right up the street (or mountainside) of those who like a challenge! A fabulous turn-out from Islwyn Running Club at the Cross Country last Sunday. Even the Chairman was said to be 'chuffed to bits' to see so many Club members there. Thanks to all who turned out. 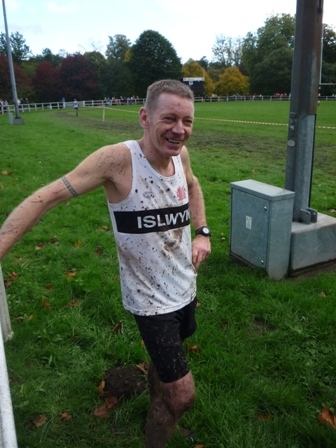 In a change from the usual weather when we run the Islwyn course, Sunday was mild and saw plenty of 'mud, mud, glorious mud'. One of the Club Marshals was even heard to be laughing as he encouraged fellow Club members to 'run through the middle of the bog - its not that deep!' Not sure that was actually the case. There were some great runs all round, with the Boys Team currently standing in 2nd place and club members holding four of the 'top three' places in each of their age groups. 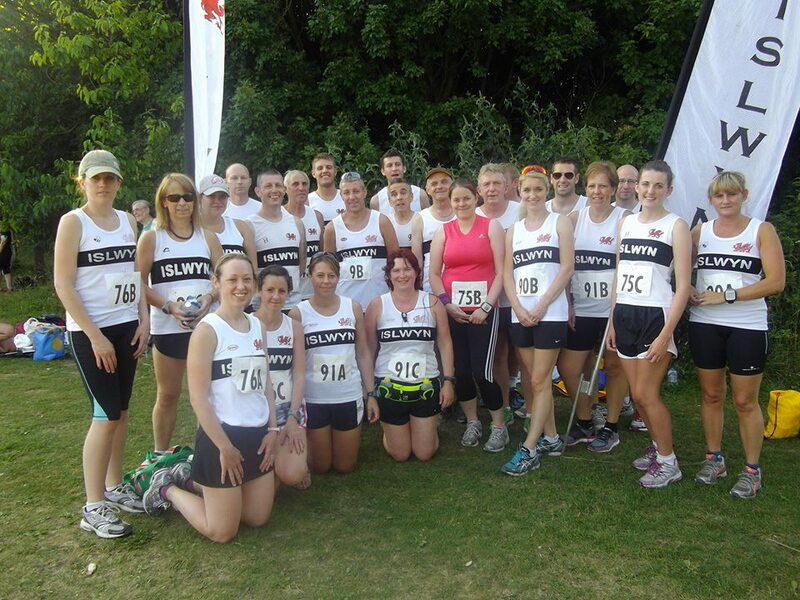 Several new Club runners ran the race for the first time and all did really well. Keep it up! Here's to the next race in Monmouth - hold the 3rd Feb in your diaries!